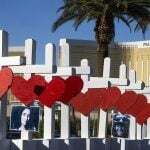 After the October 1 shooting at the Route 91 Harvest music festival in Las Vegas, one point of speculation was that shooter Stephen Paddock may have been able to more easily prepare his attack by leaving a “do not disturb” sign on his room at the Mandalay Bay, prompting hotel staff not to enter his room. In the weeks since then, many casinos in the city have taken steps to ensure they will more quickly investigate patrons who request privacy for long periods of time. According to local media reports, several operators have taken steps to shorten the length of time they’ll honor a “do not disturb” sign, though there is still no industry standard and not all casinos have publicized their policies. 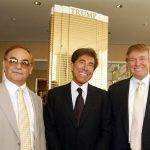 One of the first people to discuss these policies after the shooting was Wynn Resorts CEO Steve Wynn, who told Fox News last month that at his casinos, staff would now be instructed to look into rooms more frequently. One of the most recent announcements came from Boyd Gaming, which operates The Orleans and a total of 10 hotels in the Las Vegas area. 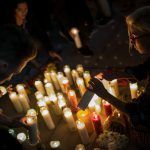 According to David Strow, the vice president of corporate communicates for Boyd, the policy was changed from three days to two following the October 1 shooting. On the other hand, MGM Resorts has declined to comment on any official policy relating to entering rooms when patrons have requested being left alone. 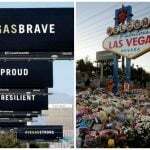 This could prove problematic for the company, as the question of what MGM’s policy was (or if the company even has one) will almost certainly be raised in lawsuits related to the mass shooting. Even without any sort of industry standards, it is commonly expected that hotels will enter a room at least once every three days. However, the more likely issue is the health of a guest rather than suspicion of illegal activity, says Kevin Murphy, an associate professor at the Rosen College of Hospitality Management at the University of Central Florida. “When’s the last time you heard someone had 23 assault rifles in their hotel room?” Murphy told the Las Vegas Review-Journal. While there may be debate over just how quickly casinos and hotels should look into a room, officials believe that tourists would rather staff err on the side of safety, provided that the check-ins don’t become so inconvenient that they impact the hospitality experience.